Spend three hours with a personal shopper and discover a whole new you! Spend a few hours with a professional personal shopper and emerge a new you, full of confidence and wearing fabulous shoes. This three hour experience is ideal for those looking for a wardrobe update or a new outfit that will make a statement - now get shopping! 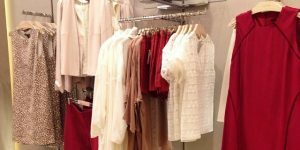 Joining a professional stylist in Johannesburg, you'll journey round Sandton City Shopping Centre visiting various boutiques and retail stores, learning how to shop for your body and budget. A hefty price tag doesn't always equate to quality, so during the three hour session you'll discover how to shop smart and hopefully pick up some great pieces that you'll cherish for years to come. Your personal stylist has years of experience in the industry helping people look their best, so with her guidance and top tips you're guaranteed to find unique pieces that are flattering and affordable - you're also welcome to bring a couple of friends along for a second opinion! The 3 Hour Personal Shopping Experience in Gauteng makes a fantastic gift for men and women, and will change the way you see shopping forever! Personal shopping in Joburg can be booked on weekday and weekend dates throughout the year, subject to availability. This is a three hour personal shopping experience. Participants: The 3 Hour Personal Shopping Experience in Gauteng is for 1 participant. The personal shopping is for one, but you're welcome to bring up to two guests. You should wear something comfortable that's easy to change in and out of, and bring cash for purchases. The weather should not affect your personal shopping experience. Have you ever looked in your wardrobe and thought you literally have nothing to wear? We spoke to Daniella at Shopology and found out exactly how she can stop this from happening and stop us continuously making the same fashion mistakes. Keep reading to find out exactly how…. Q: What are the different types of services you provide and which is the most popular? Our most popular service is definitely the wardrobe edit. All too often, we hear people complaining they have nothing to wear, even though they have a full closet. With most of us only wearing around 30% of our wardrobes, every closet needs a good clutter clean-out once in a while. This task can be daunting – and that’s where we come in offering a new perspective; and helping our clients progress into a fresh new phase, by getting rid of items holding them back, and identifying any essential wardrobe pieces that may be missing. The result of this therapeutic process is a wardrobe filled with the right key items, no longer hindered by those pieces that were just taking up valuable real estate. 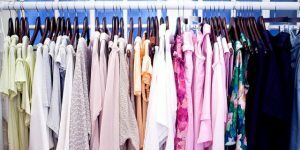 We also offer personal shopping for our clients in two formats: Shopping with them: We’ll accompany clients to the mall or introduce them to new stores, giving them advice when they need it most. Or shopping for our clients, where we meet with them first and then deliver – to their door – a great selection of clothes, curated to their specific needs, lifestyle, budget and personal style. To complement this, we also offer a mobile tailoring service where our tailor travels to our clients, measures and pins everything, then takes it back to his studio and returns it to them. Q: What is the strangest fashion request you have been asked to look for? We’ve had some really great ones. They include: A tailored disposable raincoat for British travel; an engraved brass collectable compass for a yacht owner in the Caribbean and purchasing an entire wardrobe of only pyjamas. Everyone thinks their request is strange, but really, I’ve heard it all. Q: Do most customers always follow the fashion advice you give? I hope so! Ultimately, once we’ve shopped for and styled a client, the ball is in their court; that’s why we strive to give each client advice and practical styling solutions that fit in with his or her specific lifestyle. Nothing makes me happier than seeing a client walk out, feeling confident and looking great in an outfit we’ve fully bought and put together for them. Q: How do you decide during personal shopping the colours, style and shape that each customer should have? I believe in 12 different body shapes for women and 4 different shapes for men. (Women like options). It’s simple to categorise the shape. The colouring is a bit trickier because all skin types have an undertone and the skin tone, according to that I can determine which colours will suit best and which are to be avoided. Most people have a pretty strong idea of what styles have been working for them, I like to introduce them to some new trends and some tricks. Even if people don’t believe they have a particular style, they will always have likes and dislikes – I’m just there to make them realise what they are. Q: What do you love most about working at Shopology? When starting Shopology, I was driven by a desire to help people. Nothing looks better on a person than confidence, and helping my clients looking great, and seeing the confidence it brings them fills me with joy and pride. It’s easy to do a job that is so rewarding. Thank you very much to Daniella for answering our questions. You can purchase gift vouchers for Shopology experiences here! An Experience Days E-Certificate is sent instantly to the chosen delivery email. The voucher includes everything your recipient needs to redeem and book an experience. Gift Vouchers are valid towards the chosen experience for one year, then a further two years as Experience Days credit, allowing the recipient the freedom to enjoy an experience at their convenience.